Every new season is an excuse for new décor. 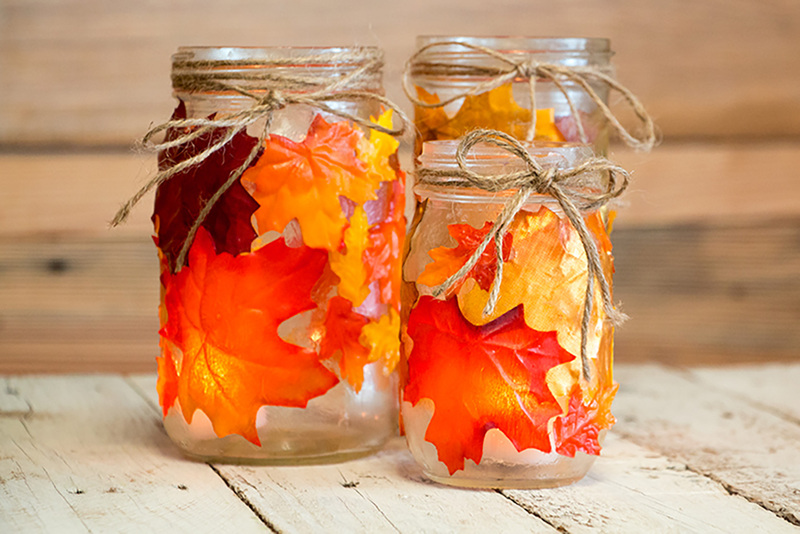 For parts of the country where the leaves haven't dropped yet or in more temperate areas where four seasons aren't prominent, you'll love this idea Spark & Chemistry shared on Pinterest that incorporates fabric leaves and Mason jars. These simple jar candles are easy to make, are a great excuse for gathering your family together before the craziness of the holidays hits, and best of all, when you're all done you can bask in their warm, friendly glow. Using the sponge, cover the Mason jar in craft glue. Cover one side of each leaf with glue and press onto the jar. Then cover with more glue. You may need several layers. Allow to dry. 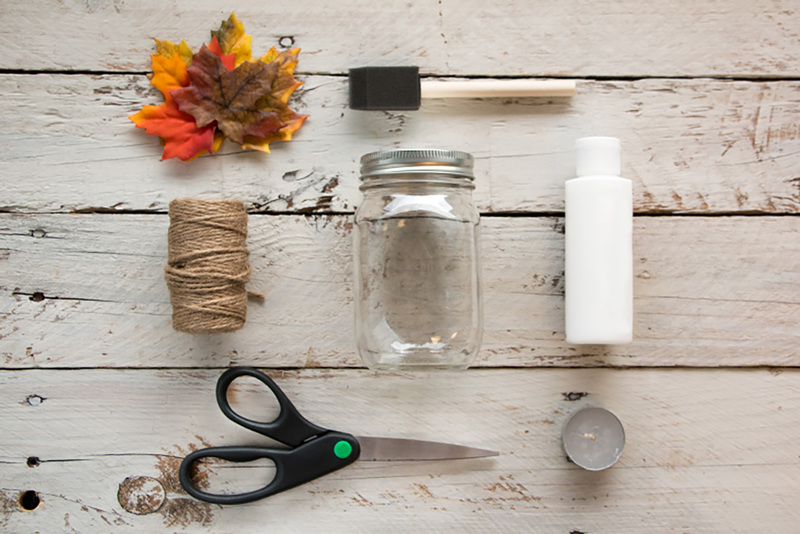 Tie a twine bow around the lip of the jar, place the tea light candle inside, light, and bask in the glow of your crafty, crafty brilliance.